As a nurse you’ll have the chance to transform a patient’s experience—just by the way you administer medication, treat wounds, communicate essential information, provide emotional support and so much more. Through the challenging classes and clinical program at BJU, you’ll be equipped with the skills and the confidence you need to succeed. But beyond that, you’ll be inspired to view nursing as a calling, not just a career. To view your patients as souls, created in the image of God. To view your daily tasks as a chance to show Christ’s love in tangible ways. Neonatal Nurse Practitioner with Pediatrix Medical Group of Tennessee, Nashville, Tenn.
Clinical Nurse Educator, Greenville Hospital System, Greenville, S.C.
Staff Nurse/Cardiovascular Intensive Care Unit, Spartanburg Regional Medical Center, Spartanburg, S.C.
Certified Hyperbaric Registered Nurse/Case Manager, Peninsula Wound and Hyperbaric Center, Salisbury, Md. BJU’s nursing graduates have typically outscored state and national NCLEX pass rates for more than a decade. I love that that working in healthcare gives us the privilege of getting to know our communities in such a personal way. In nursing, specifically for me in the emergency department, we are placed in a unique position. We don’t have to find hurting people to minister to—they come to us! To me it is a beautiful stewardship; not because I am doing anything special, but because God lets us see and be a part of what He is already doing in the lives of others. My heart’s prayer is for discernment and a skillful hand, to be a reflection of the love, joy and peace that comes through Christ, and to be a blessing to those God brings through our doors. Looking back on my time at BJU, I am so grateful for the MANY clinical opportunities we had in so many settings. The strong background in critical thinking, nursing procedure, chemistry, physiology and pathology laid a foundation to now apply hospital policy and procedure. 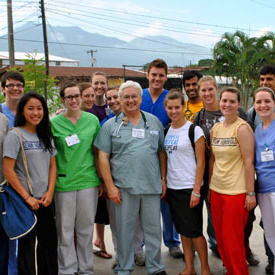 As a student, I was able to travel with Medical Missions Outreach to Guyana, Honduras, and the Dominican Republic doing week-long medical and vision clinics. After graduation I was been able to go again with MMO to Tanzania, this time as a nurse! 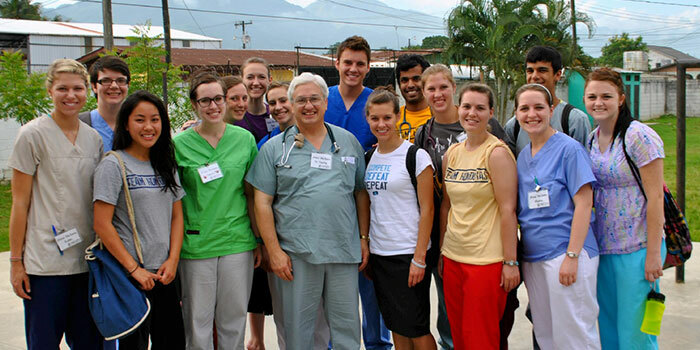 This year I will be going to Peru and later to India to serve with the medical team and local churches there. A particular joy of mine in nursing since graduation has been volunteering at our local pregnancy center and training to be a nurse sonographer for limited obstetric ultrasounds. I am grateful for the time I had to learn and see what nursing CAN BE, and now for the privilege to use it. 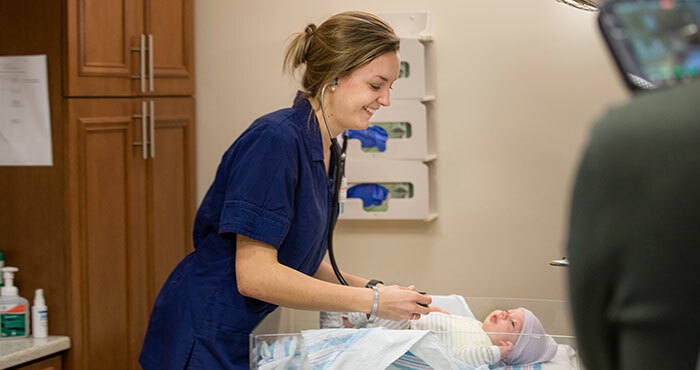 As a nursing student at BJU, you’ll gain a solid academic foundation through intensive courses such as Human Anatomy & Physiology, Pharmacology and Microbiology (to name just a few). 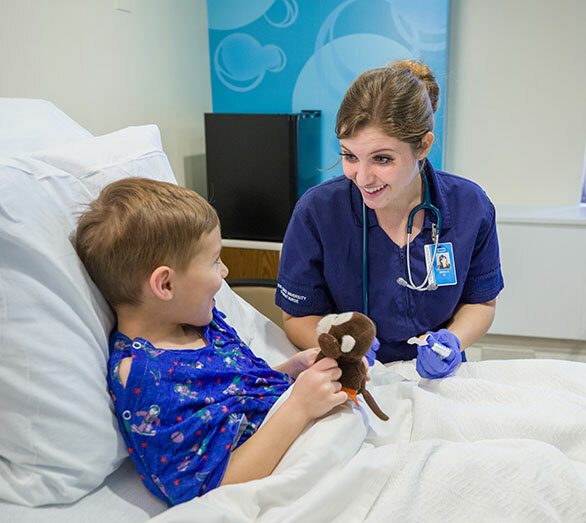 You’ll also gain important hands-on experience through a patient simulator lab with adult, maternal, child and newborn simulators, providing as life-like an experience as possible, complete with breath sounds and vital signs. Before graduating, you’ll complete six semesters of clinical experience (most RN programs feature only four semesters of clinicals). Practicum, a capstone experience during your senior year, will solidify your nursing skills and judgment, as well as give you opportunities for development of leadership and management skills. To ensure your success, you’ll use ATI as a resource to supplement your mastery of nursing school content; track your progress and ultimately prepare to pass the state board NCLEX exam. You’ll also benefit from the BJU Core, a unique combination of Bible and liberal arts courses taken by every BJU student. Bible courses, as well as daily chapel services and godly professors, will nurture your growth in Christlikeness. Liberal arts courses will broaden your horizons and equip you with skills essential both for nursing and for all of life—skills such as critical thinking and problem-solving, effective communication, ethical decision making, adaptability and much more. 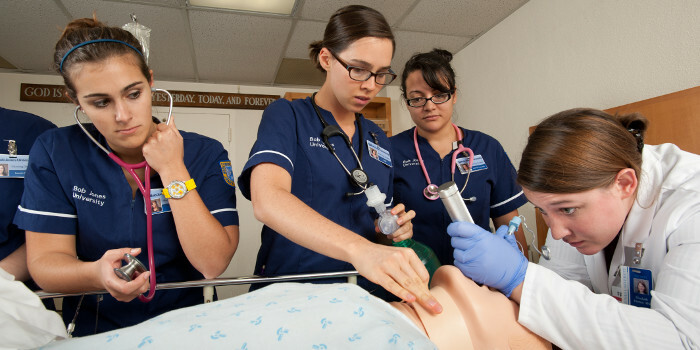 The nursing program is highly specialized, leaving little room for elective classes. However, nursing faculty members do encourage nursing students to take extra counseling, ministry or Bible classes as they are able, in order to further prepare themselves for serving the Lord. 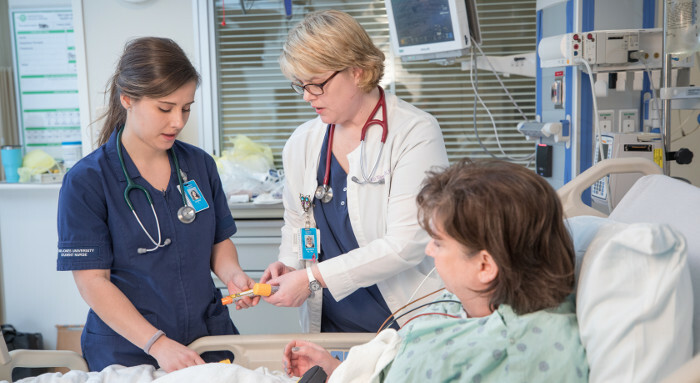 Our nursing program is approved by the South Carolina Board of Nursing. The bachelor of science in nursing program is pursuing initial accreditation by the Commission on Collegiate Nursing Education (ccneaccreditation.org). Applying for accreditation does not guarantee that accreditation will be granted. Commission on Collegiate Nursing Education, Attn: Third-Party Comments, 655 K Street, NW, Suite 750, Washington, DC 20001, or thirdpartycomments@ccneaccreditation.org. Several high-fidelity patient simulators—adult, maternal, child and newborn—are used in conjunction with a computer program to simulate the symptoms and reactions of an actual patient. 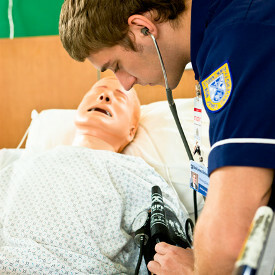 The SimMan is manufactured by Laerdal Medical and is designed to aid in the teaching of skills pertaining to airway, breathing, cardiac and circulation management. An essential part of your education as a nurse is three years of clinical courses, including a full semester of critical care courses and a 6-week practicum. That means that throughout your program you’ll be working at local Greenville hospitals, such as Greenville Health System, Spartanburg Regional Healthcare System and Bon Secours St. Francis Health System. 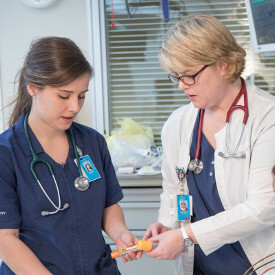 The University Nursing Association is a student organization that gives all students in the nursing program a chance to build relationships with each other, encourages them as they face the challenges of their program and the nursing profession in general, and provides nursing services to the community as well. Functions of the UNA include organizing community outreach projects, student development opportunities, and fundraising projects. For nursing students, the pinning ceremony is the capstone of years of hard work and diligent preparation—and the commencement of a life of ministry through their chosen profession. 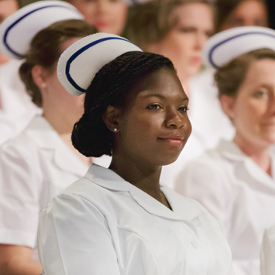 Surrounded by family and friends, the new nursing graduates receive a pin in the shape of a cross and a Florence Nightingale lamp, and recite a pledge to serve God and others through nursing. If you have a passion for ministry and medicine, you may be able to serve on one of BJU’s short-term medical mission trips. Each summer there are opportunities to participate with Dr. Marc Chetta, the Medical Missions Outreach, and Grace Dental and Medical Missions, Inc. These outreaches pull students outside of their comfort zones and encourage them to serve Christ through serving others. Valarie Petersen holds a master’s and doctorate in nursing. She is one of the few nationally certified Gerontological Clinical Nurse Specialists across the country teaching in a nursing school. She is also certified as a family nurse practitioner (FNP) and works part-time in an occupational health setting in Simpsonville, S.C. Implement safe patient-centered care that integrates critical thinking, problem-solving principles and evidence-based practice across the lifespan and in all healthcare settings. Utilize appropriate biblical worldview and ethical principles when applying clinical reasoning and judgment to make decisions and solve problems in the healthcare field. Utilize interpersonal communication skills in order to establish and maintain therapeutic and collaborative relationships in the healthcare setting. Demonstrate accountability for personal and professional behavior. Apply leadership principles to the management of care including collaboration with clients and healthcare professionals.